Reputed for being one of the most beautiful natural harbours in the world, Sydney Harbour lives up to and exceeds all expectations! Owing to the advent of gastronomic tourism, waterfront restaurants on Sydney Harbour have continued to garner increasing attention over the past few years. 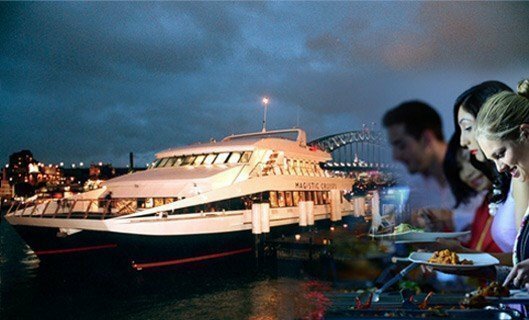 Everyone wants a reservation with one of the top Sydney restaurants with a view of the Harbour. The illustrious harbour houses the prominent Opera House and the picturesque Harbour Bridge among other architectural and natural treasures. Loved by Sydneysiders, local and international tourists alike, this idyllic harbour is a destination that features on most bucket lists! 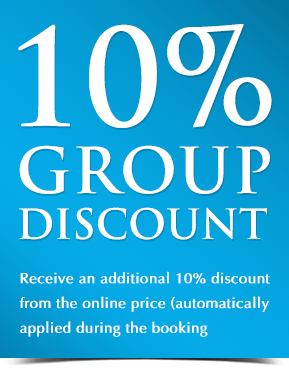 A table booking in the restaurant by the water does seem ideal for sure, but here’s a better option. 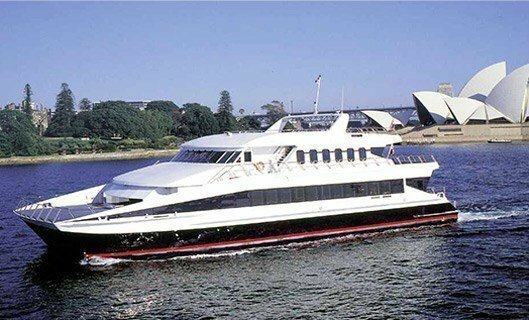 Let’s up the ante from just waterfront and harbourside dining in Sydney to a luxury dining cruise! These floating restaurants have superior dining menus giving the best waterfront restaurants on Sydney Harbour a run for their money. While waterfront restaurants in Sydney offer exceptional dining options and a view (albeit stationary) to match, our premium cruises offer all that and more. Roving views of the stunning harbour and delectable dishes are an irrefutable part of the experience. In addition, a few cruises even offer the option of enjoying a pre-dinner cocktail and canapés out on the expansive decks before heading on to the dining saloons to indulge in the fine dining extravaganza that awaits. Our immersive waterfront restaurants cruise on Sydney Harbour offering unparalleled & unobstructed views and numerous photo opportunities. No doubt, these premium multi-million dollar cruising venues offer a dining experience second to none. Experience waterfront dining at its best on-board the Magistic floating restaurant. Feast on a freshly prepared deluxe buffet while taking in the spectacular Sydney. Stroll the expansive decks of the luxury catamaran with a drink in hand, admiring the views. Planning a special dinner? Make it a spectacular experience by choosing a unique waterfront restaurant with a changing view! Dine on the Magistic floating restaurant with a freshly prepared buffer dinner, and make it a day to remember for years to come! Transform your mundane dinner at a waterfront restaurant with the Showboat dinner experience! Go back in time as you dine on an authentic paddlewheeler with a gourmet 3-course meal to savour. Dinner doesn’t end there; enjoy a themed and choreographed show performed by an all-Australian cast! Why dine at a waterfront restaurant when you can have the whole harbour to yourself! Choose the Clearview dinner experience and dine on a gourmet 8-course degustation menu with premium beverages included. 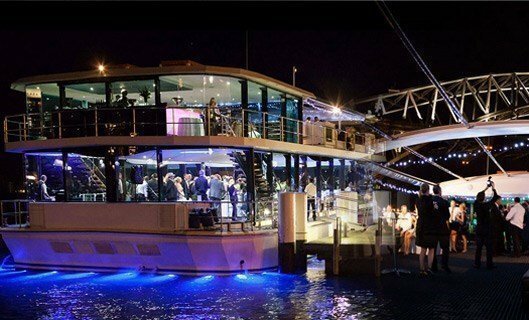 A premium glass boat venue, get great views of the night time Sydney skyline!